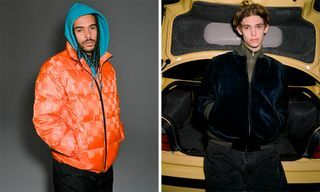 Key Pieces: The offerings exude a unisex vibe, but the Reggie Nylon Jacket and Bix Fleece Bomber with matching pants, along with striped T-shirt dresses and printed long sleeve tees are some of the strongest in this drop. 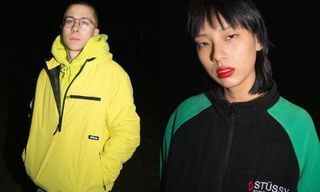 Editor’s Notes: After debuting a workwear-inspired holiday 2018 men’s collection, Stüssy Women follows suit by unveiling its own seasonal range, merging skiwear and cold weather essentials with a streetwear-infused twist. Encompassing a variety of outerwear, tees, hoodies, bottoms and more, the collection intertwines streetwear and sportswear sensibilities effortlessly, while the addition of stripes, colorful prints and distinct branding add a vibrant element to the collection’s contemporary-inclined aesthetic. 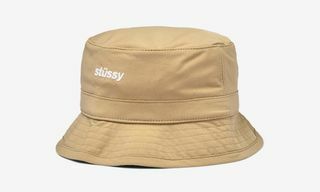 The first delivery of this offering will be available at all Stüssy Chapter Stores, Dover Street Market London, and online beginning October 26. 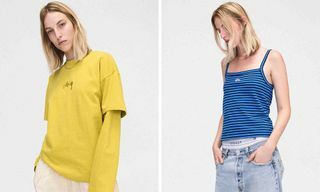 In other new women’s style, Public School and Eileen Fisher debut an upcycled fall capsule.